Don’t mistake Star Wars: Episode VII co-star Domhnall Gleeson for a newcomer. While director J.J. Abrams danced around Hollywood’s casting card to populate his Star Wars sequel with series veterans (Harrison Ford, Mark Hamill) and untested newbies (Daisy Ridley), Gleeson has been holding his own in massive film franchises and under-the-radar features for years. He just hasn’t had anything quite as massive as Star Wars. Still, there are plenty of fantastic films you can boot up this weekend to get a better sense of the type of actor Domhnall Gleeson is (and can be). Are we looking at the son of Luke Skywalker? Possibly. And these five films confirm that if, indeed, that’s the direction J.J. Abrams wants to go in Star Wars: Episode VII, the role is in very good hands. 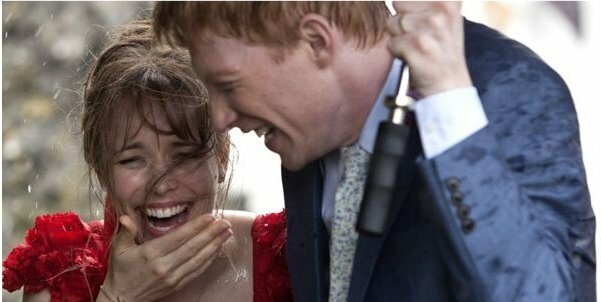 Hands down, About Time is Domhnall Gleeson’s best film to date. Written and directed by Richard Curtis (Love Actually, Notting Hill), the romantic comedy casts the Irish actor as a clumsy twentysomething who learns, from his father (the dry Bill Nighy), that he’s able to time travel. And as any man that age would do, Gleeson uses the power to get the girl of his dreams – played by Rachel McAdams. What could have been a gimmicky fluff comedy has real weight and tension thanks to the care and craft brought by McAdams and Gleeson. There are some big emotional turns in the second and third acts of About Time, and Gleeson rises to each occasion. Start here if you are just learning about this young talent. 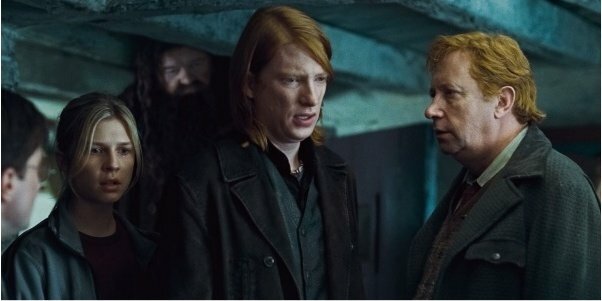 Just in case you worried that Star Wars might be a bit too big for an actor of Domhnall Gleeson’s stature, we remind you that he played Bill Weasley in the final two chapters of Warner Bros.’ massive Harry Potter franchise. Bill was one of the last Weasley family members we were able to meet, after spending so long with Ron (Rupert Grint), Ginny (Bonnie Wright) and the mischievous twins. Domhnall’s role isn’t major in the Potter franchise, contributing to a few key moments in Harry’s final leg of his war against Lord Voldemort. But by appearing in the Harry Potter films, Domhnall got to share a screen credit with his actor father, the great Brendan Gleeson, who had played "Mad-Eye" Moody in multiple films! Standing out in Joe Wright’s stagey Anna Karenina presents a challenge. For starters, you had massive-wattage celebrities like Keira Knightley and Jude Law delivering career-best work. And Wright, himself, was stealing a lot of the focus with his elaborate (but hugely rewarding) parlor tricks. Seriously, there is so much to appreciate in the vastly underrated Anna Karenina, and Domhnall Gleeson’s performance falls on that list. Here, he plays the heartbroken farmer Levin, who risks it all to come into the city and win the hand of Kitty (Alicia Vikander) – only to have his plan fail. Watch the scene where he and Vikander communicate using the letters on a set of blocks (pictured above), and try not to cry with a mixture of passion and joy. Another underrated gem that is bursting with talent, but went largely unseen back in 2010. Credit the unusual premise, where young students are "raised" on a futuristic farm to be possible organ donors for citizens who may need medical assistance late in life. The lead trio is played by the impossibly gifted Keira Knightley, Carey Mulligan and Andrew Garfield. This movie should be re-released today, as is. It might clean up. Gleeson shows up late in the film (in a role I don’t want to reveal here), but Never Let Me Go will demonstrate how the young actor is able to hold your attention in even the smallest part. This last one is a slight cheat. Frank hasn’t opened yet, but I was lucky enough to catch it at the South By Southwest Film Festival, and it’s the largest showcase of Domhnall Gleeson’s talents as a leading man. The fact that he stands out in such a bizarre movie speaks volumes to his abilities. Gleeson plays Jon, an aspiring musician who falls in with a grungy indie-rock outfit fronted by Frank (Michael Fassbender) – a possible genius who wears a giant mask 24-hours a day, seven days a week. 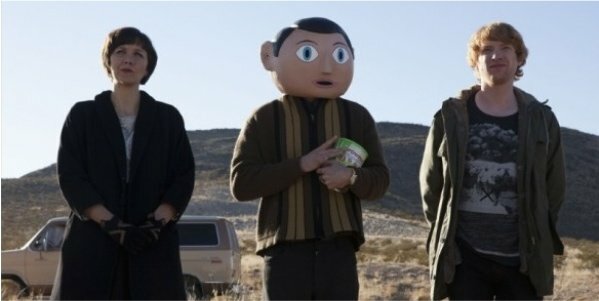 Frank is strange, but intoxicatingly funny, and Gleeson graduates to full-on leading man in the part. Even if Star Wars doesn’t make him one of the biggest stars on the planet, Frank shows that he’ll be able to come back down to earth and survive in strong character pieces like this for as long as he’d like.